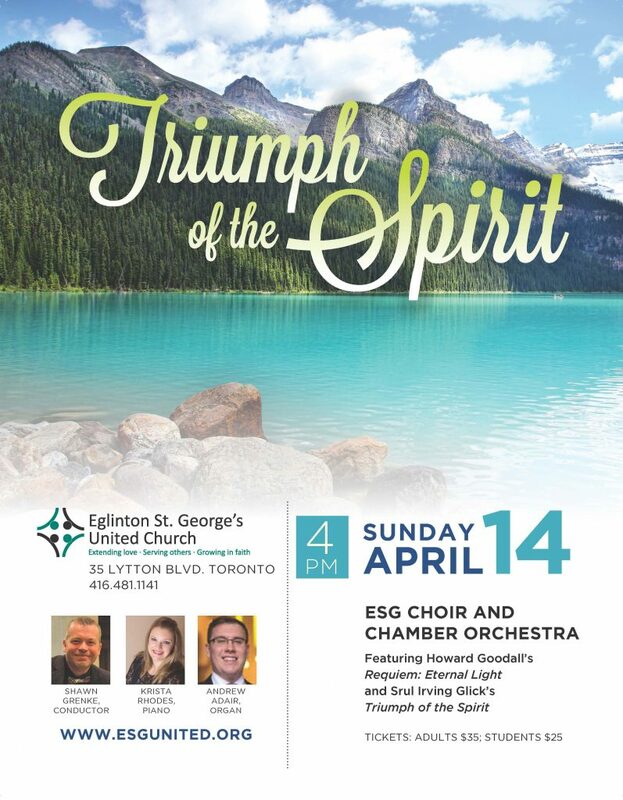 Tickets to our upcoming concert, Triumph of the Spirit, on April 14th at 4 pm are available for purchase at a cost of $35 regular / $25 student. Tickets can be ordered in person at the church or by telephone at 416-481-1141 x250. To order online, please download and complete the ticket order form and return by email to info@esgunited.org.